The last clue for this little mystery QAL came out last Monday. I forced myself to get some other things done before playing with this! According to Lori’s directions, this is the layout. Clearly some arranging of four patches was needed. You might remember that I made extra pieces. I had almost enough for a layout like this. But I hated my 4 patches. Really hated them. So I took them off the wall to rework them. 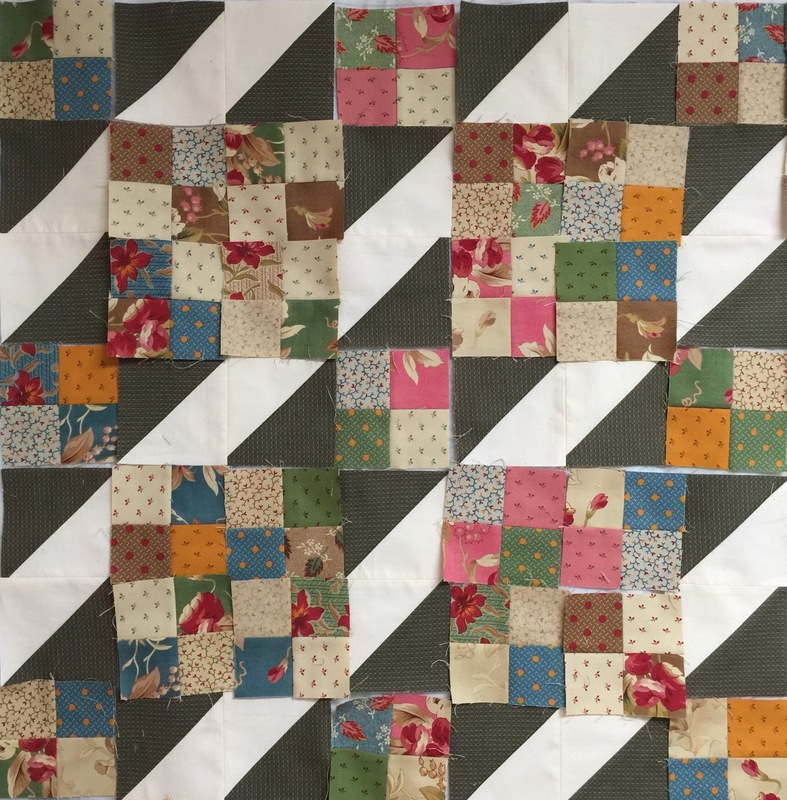 The problem with precuts is that you can end up with a quilt that is too matchy matchy. When I took them off, I was left with this. And I loved it! I decided to ditch my 4 patches. I knew they would make a quilt I wouldn’t like or use. I started thinking about what I would use and what would go with the green. I decided it could make a nice Christmas quilt for my table. 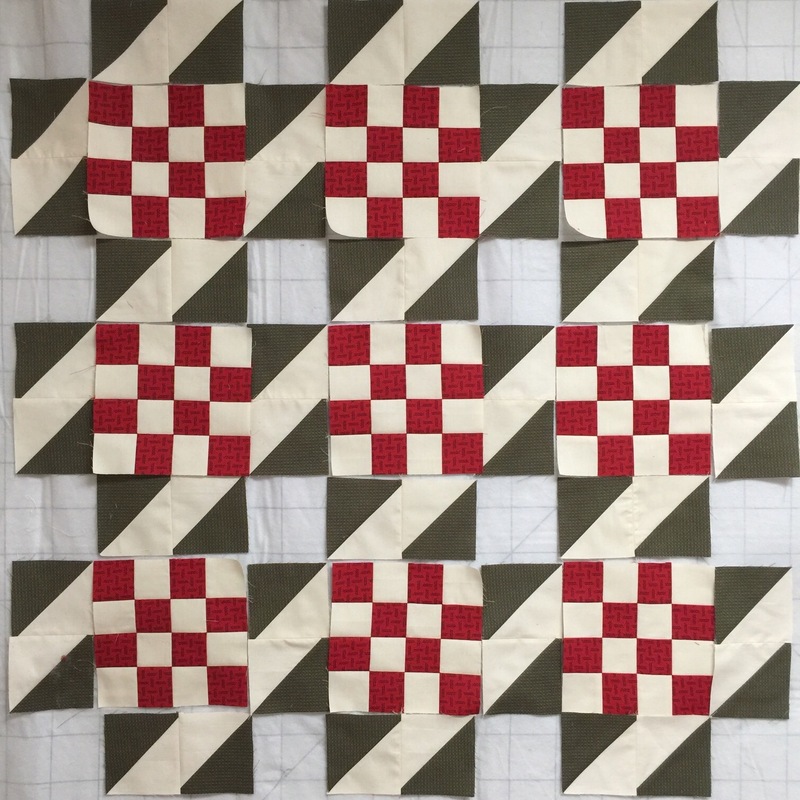 I don’t like seasonal fabrics, but I love red and green quilts…..
Much better! Now to add a bit of gold. Ahhhhh…..yes! Not at all scrappy, but I love this! It will go on my table at Christmas. Time to start the quilting! 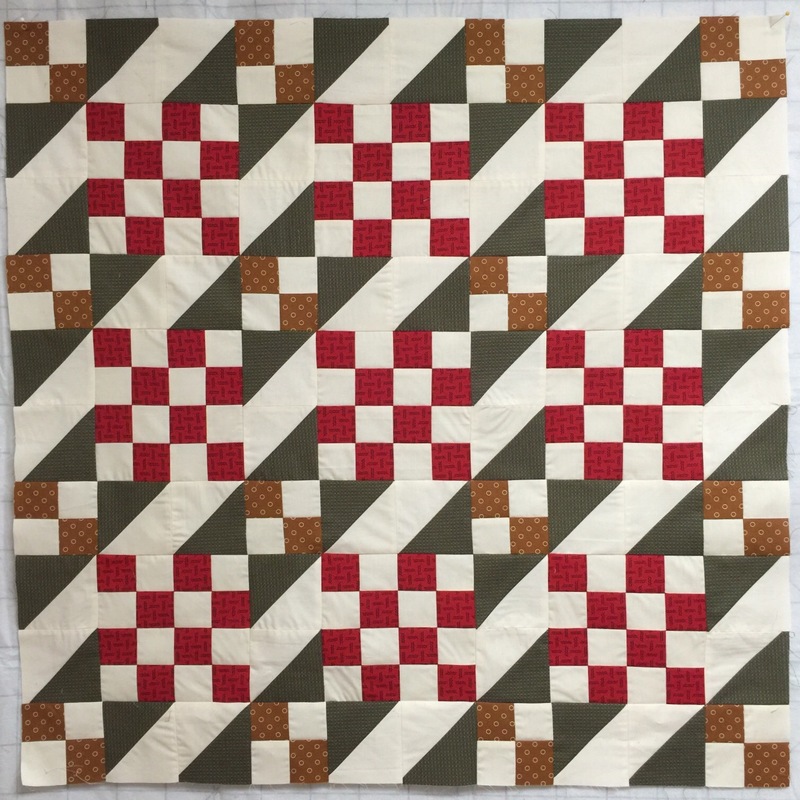 Now head over to Humble Quilts to see everyone else’s version of a Palmeteer Point! I love it too! 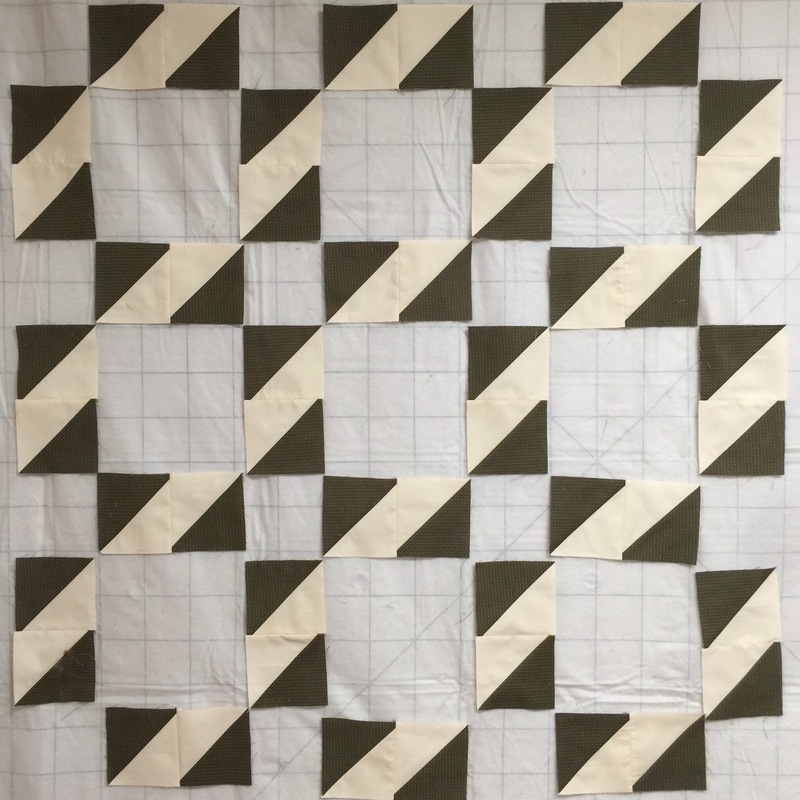 I wish I had ditched my hst’s and replaced them, but I’ll make up this block pattern again at some point for another quilt. Talk about a transformation! It’s amazing! What a great idea! Your red and green version is perfect though the 4 patch units were nice too. 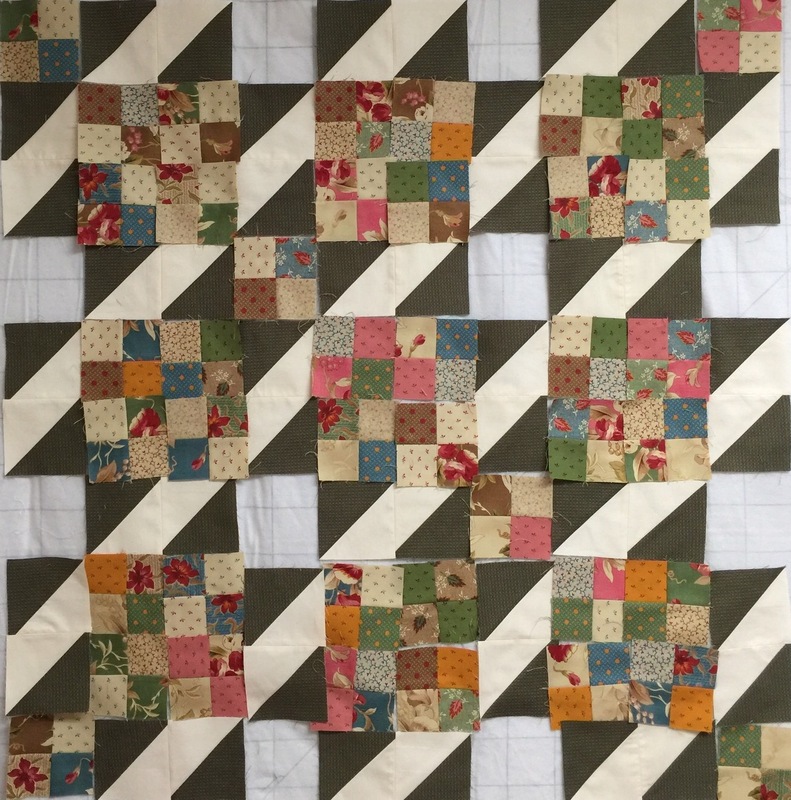 When all is done and quilted, it will make you happy and that is what counts. I thought the 4-patches were okay, but then your replacements elevated the whole thing to a new level. Nice call! Like you, I prefer holiday colors, not so much holiday prints. You made a great decision! Love the new idea! Perfect for Christmas and would be great in Christmas prints of red and green I think……which i have tons of! Thanks for sharing your ideas. What a sweet quilt. You’ll love using this one! I was going to protest and say that I liked the original four patches, but after seeing the new layout, that is just fabulous. I like your Christmas topper. Are you going to hand quilt it? Super darling! I actually still loved your matchy matchy 4 patches too! Great color choices! This will be fun for you to use. Lori’s Palmateer is a fun pattern. I struggle with precuts for the same reason–they only look “good” together, generally lacking snap or spark. I like your final solution. That is fantastic. Amazing solution. I agree with you, the first 4-patch fabrics, nah. I like the red 16-patches much better. Then when I saw the gold 4-patches added, well, Wow! That one simple addition just made it perfect! Good color choices and fabric arrangement! What a great lesson this was! Thanks for sharing it. I love your finished arrangement. So different than what you started with. The addition of the different four patches just sets it off. Great job. Wish I had your eye for arranging blocks.